From clowns to stilt walkers and everything in between, these birthday party entertainers in CT will bring life to your party. Check them out now and get ready for an awesome event! 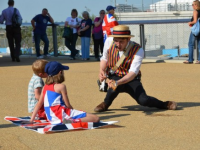 Magicians are among the most popular chlildren's entertainers. 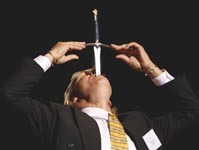 Find and hire magicians in CT to astound your guests with mesmerizing tricks, sleight of hand and mentalism. 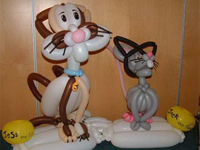 A hat, a sword, an animal and so much more can be twisted to perfection thanks to these Connecticut balloon twisters. All of the guests at your party will absolutely love this type of entertainment. With such a great talent Connecticut's best party entertainers can be found right here. With so many different types of entertainers in this list, you are bound to find one that you love. 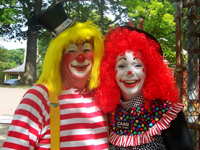 This guide to Connecticut clowns is full of entertainment options for you to choose from. 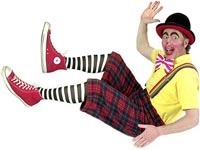 Take a look now and decide which clown will be the best entertainer for your event! 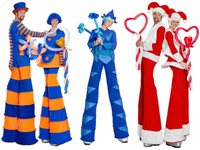 A Connecticut stilt walker is really a unique form of entertainment that you may not have considered before. Look through this guide and find out what's so great about them. Fire eaters, jugglers, uni-cycle riders, these are definitely some of Connecticut's unique party entertainers. Check them all out on this list right here. 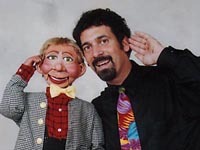 Take some time to look through this guide to Connecticut ventriloquists, you won't regret it. The guests at your party will definitely love this type of entertainment.